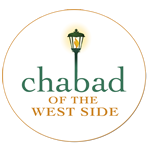 Want to keep in the loop on the latest happenings at Chabad of the West Side. Subscribe to our mailing list below. We'll send you information that is fresh, relevant, and important to you and our local community. Lag Ba'omer @ Chabad! What Fun!! Every Shabbat and Holiday from 10:30 am to 12:15 pm. Led by Rabbi Chayim and Sarah Alevsky and our trusted staff! Come see for yourself what the buzz is all about! The Chabad Kids Shul and Junior Minyan are structured and fun-filled Shabbat programs enabling children to attend Shul in a meaningful way while allowing their parents to enjoy the davening without worry. Under the guidance of experienced and dedicated staff, the children are introduced to the wonderful world of Shul in a way that makes them want to attend. We have four age-appropriate groups, and led by experienced teachers Rabbi Chayim B. and Sarah Alevsky and their staff. 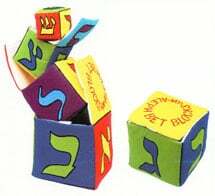 The children pray, play games, sing Shabbat songs, hear stories and learn the weekly Parshat HaShavuah which comes alive through stories, drama, songs and hands-on games and activities. A popular hit is the weekly Parsha Puppet Show, jointly presented by Rabbi Chayim B. & Sarah Alevsky which brings the parsha and its lessons alive in a fun and dramatic way. One of the highlights is the Torah service. The children join the main s ervice for the lifting of the Torah, and every child has the opportunity to kiss the Sefer Torah, after which he or she receives a Shabbat treat from one of the Rabbis. A room with games and toys, and a great playground outside, are available for children to enjoy before and after the services with parental supervision.